Wow, the bestseller lists keep coming in. 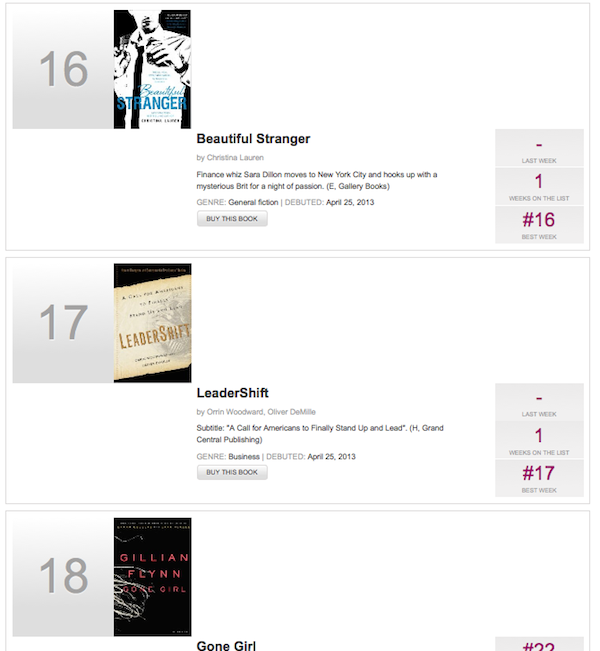 First New York Times, then Wall Street Journal, and now we just found out that Leadershift came in at #17 on USA Today’s bestsellers list for the week of April 25th. We are both humbled and thrilled. It’s exciting to see so many citizens so passionately engaged in restoring America’s greatness. We’re energized by your energy. Thank you so much for your support, passion, and dedication to freedom. Congratulations, Oliver and Orrin! You two coming together are like chocolate and peanut butter, like Rogers and Hammerstein, like Lennon and McCartney… Thank you for sharing your intellect and insight with the rest of us.